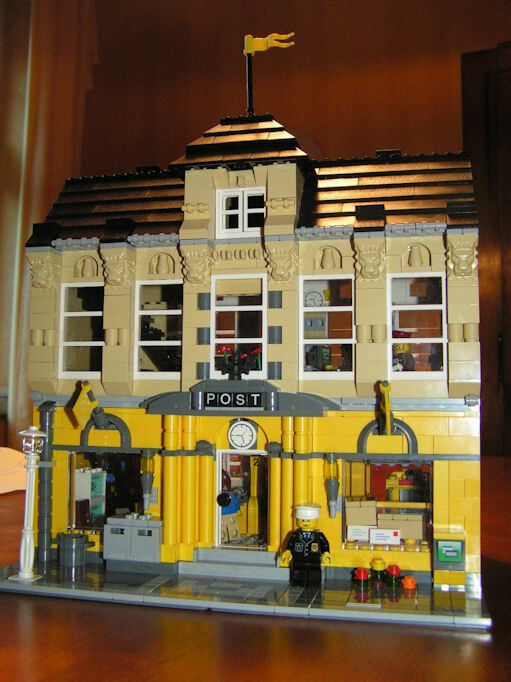 Brick Town Talk: Post Office by Holodoc - LEGO Town, Architecture, Building Tips, Inspiration Ideas, and more! Outside: Tan detailing (very effective) Window display, bikes with parcels. Inside: Great counters downstails, love the parking/unloading bay and great sorting office upstairs!